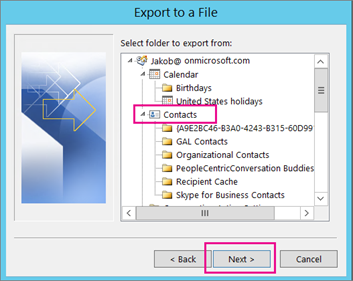 When you export your contacts from Outlook, a copy of your contacts is saved to a CSV file, or other file type. 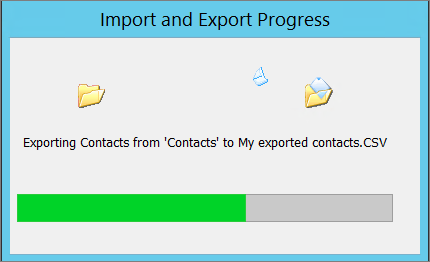 You can then use this file to import your contacts to another email account. 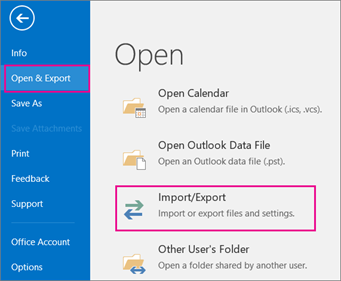 In Outlook on a PC, choose File.If your ribbon doesn’t have a File option in the top left corner, you’re not using Outlook on a PC. See What version of Outlook do I have? 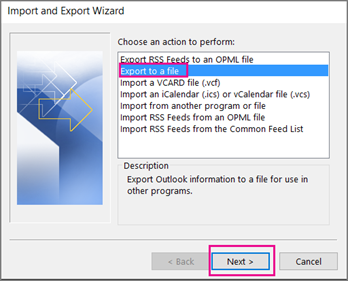 to get to the export instructions for your version of Outlook.